When you ask Bonita Porte why she created Energetic Juniors, she has one answer: her daughters. When Bonita’s daughters were in elementary school, she and her husband noticed that their girls weren’t getting enough physical activity. Being passionate about health and fitness, Bonita wanted to give them personal attention regarding their physical health. 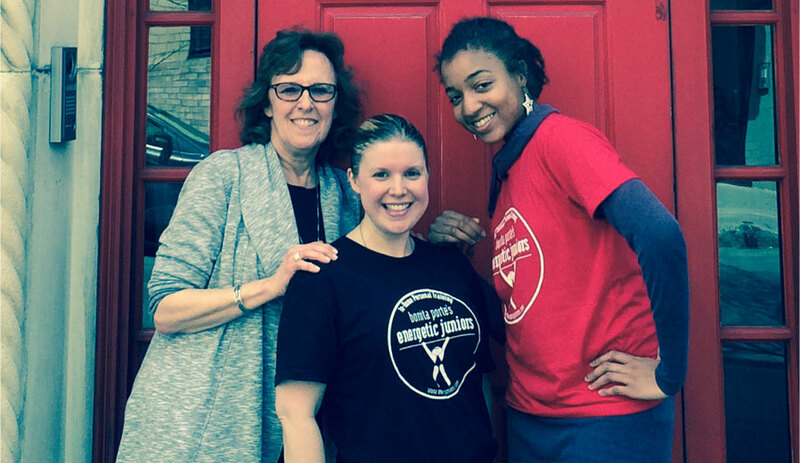 She decided to enlist the help of training coaches to work one-on-one with her daughters. And Energetic Juniors was born. Her mission for Energetic Juniors was to bridge the gap between kids’ physical abilities and future aspirations. Her customized fitness programs were based around each child‘s needs and interests. She wanted to teach them fitness skills at their own pace and help them find physical outlets that would help them transition into traditional sports and activities. Today, Energetic Juniors continues to teach kids how to make physical activity an integral part of their lives. Through our ongoing sessions, kids develop a genuine confidence that comes from being fit and active. For children who are over- or underweight, or different in any way from “other kids”, our skill building exercises and encouragement help kids realize they can accomplish anything they set their minds to. It still excites Bonita to find the right match between a child and a fitness coach. From the most sedentary child who needs motivation, to a seasoned athlete looking for skill building and strength training, Energetic Juniors has a coach with experience and training to get optimum results.